Discussion in 'Patristics' started by Pavel Mosko, Mar 21, 2019. Marcion of Sinope (/ˈmɑːrʃən, -ʃiən, -siən/; Greek: Μαρκίων Σινώπης; c. 85 – c. 160) was an important figure in early Christianity. His theology rejected the deity described in the Hebrew Scriptures and in distinction affirmed the Father of Christ as the true God. The Church Fathers denounced Marcion, and he was excommunicated from the proto-orthodox Church. He published his own list of New Testament books, making him a catalyst in speeding up the process of development of the New Testament canon by forcing the early Church to respond to his claims. Marcion was a pretty good example of why the canon of Scripture had to be established. The Gnostics were introducing sacred texts that church had never seen before, Marcion just happened to be right about the books he believed belonged in the NT, one of the few things he got right. Someone was asking the other day if God used the gentile nations to accomplish His purposes the way He did Israel. This seems to be a microcosm of that same thing. Marcion just happened to be right about the books he believed belonged in the NT, one of the few things he got right. Well the smart thing he did is he took many of the "Most trusted" books of the time. But that had an added bonus, because those also would be the most copied for available for reference. At some point I will have to make a list of the other books besides the Synoptics and the Book of James that didn't make his list. (Revelation and the Catholic epistles were more in debate). Actually heresy and other issues of Church conflict are great drivers of Theology. I think I heard it said that over 60% of the NT was made in response to correct some kind of problem, and of course, you got the Creeds etc. Even the Gospel of John, his mention of Christ "the Word made in Flesh", is thought by some to be a polemic against the early Docetics. Well that's all true, the church had the canonical books in their possession and read them to the church regularly. Other writings were being introduced, especially from the Gnostic heretics, the canon of Scripture became a serious issue. The entire new testament is riddled with polemics against the gnostics. When I have time I'll put together a list and make a separate thread. John seems to be indignant about Gnosticism in his epistles, I mean most scholars seem to think so. Books like 1 Peter and Jude are a rant against that kind of heresy, the excesses of an immoral pagan lifestyle seem to be the main focus. The early church seems to have been inundated with this kind of thing, Jesus even mentions the Nicolatians in his letter to the seven churches, church tradition tells us they were Gnostics. Marcion was a flaming anti-Semite and his selection of books to be banned was based on how "Jewish" they were. Today’s Soft Marcionism (Its much less heretical but much more popular and mainstream). 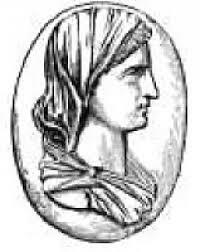 Marcion of Sinope (AD 85- 160) was one of Christianity’s greatest heretics. He had a lot in common with the group of heretics that we know as “the Gnostics”, that you can probably classify him as one, even though there are fine differences between what he taught and what his predecessors taught and believed. Unlike, many of his forerunners Marcion was much less syncretistic. Many of his predecessors were very happy taking a few doses of the New Testament and combining them with pagan myths, astrology, Zoroastrianism and many of the other faiths and occult practices of the day. While Marcion was only really concerned with the contents of what we know as the Bible in both the Old and New Testaments. In many ways, he was also “a Reformer” and popularizer of basic Gnostic ideas into the Christian world of his day. Like the Gnostics before him, Marcion claimed that Yahew of the Old Testament that created the World and authored “The Old Testament” was a different God than “The Father” of the New Testament that sent his only Begotten Son into the World to redeem the Lost. Marcion heretical theology naturally led him to negate the importance of the Old Testament to the Gospel and Christian life in general. While formal literal Marcionism may be long dead in many ways a soft figurative defacto version of that heresy still remains. This is to say, that people no longer literally teach that Yahew and God the Father are different entities, but in many ways, there is a great disregard for the Old Testament by many Charismatics and other Evangelicals that is very much Marcionite in its attitude. Which is to say, except for acknowledging that the Old Testament sets up the context of the NT and has some inspiring stories in it, many people really have little use for when it comes most of Christian life and doctrine. It’s importance is often diminished when it comes to questions of interpreting the New Testament and when considering problems of Christian life. For example, if I have a disagreement with another Christian over some aspect of Christian doctrine and praxis and I want to quote old testament passages in addition to ones of the NT to support my position, too often I find such passages without much though hand waved away and the point of view dismissed as being “From the Old Covenant”. And I’m so put off by the disregard for the Old Testament that I wonder why some folks haven’t gone the literal way of Marcion by actually jettisoning it altogether! You Know, the Gideon’s have a nice pocket New Testament with the Psalms that is very light and fits easily in your back pocket! Needless to say, this my friends should not be! I’m really put off by the low view many “Christians” have of the Old Testament. Yes, we are living under and newer and better covenant and the old ritual law has been fulfilled in Christ. But there are many Christian issues that are complex and the Old Testament provides context for the New Testament “Full Counsel of God” (Acts 20:27). I realized in writing my first entry griping about the Low regard that people have for the Old Testament I did not really flesh out my reasons for calling such people “Marcionite” in their attitude. Marcion was the first person to really make a theological system of the Old Testament vs. the New Testament. Some of the old Gnostics did have some ideas like that but they were not that nearly crystallized. Some of the Gnostics for instance could see some positive things in the Old Testament. For instance, concerning the Fall of Man in the book of Genesis, many Gnostics saw this in positive terms much like Latter Day Saints that followed them. In Mormon terms this was a “Fall Forward”., and the Gnostics would agree but frame it as the Serpent bringing man Gnosis (enlightenment) that would free him from the evil power of the Demiurge Creator God. Marcion, however constructed a much more simplistic theological system that thoroughly equated the material of the Old Testament with something that was consistently bad or evil, while that of the New Testament as universally good. And strangely it is this kind of oversimplified dichotomist thinking where the Similarities between Marcionites and some theologically impoverished Christians come in. Because many Christians can have a lop-sided view of the Old Testament. It’s like these people took what saint Paul said in the 3rd chapter of Romans describing how the Law was put their by God to bring us to Christ (by showing us we cannot fulfill it in its entirety). And basically, ignored and forgot everything else that saint Paul said regarding the Old Testament! Where they seem to equate everything out of the Old Testament in a knee jerk way “as legalism”. Such a picture is not even true to the much of the work of Saint Paul let alone the other apostles. For it is saint Paul in the book of Hebrews that mentions that “the Gospel” was preached to the Old Testament believers. The Exodus for instance is a Type and Shadow of the Gospel. And Likewise, many of the other heroes of the old Testament likewise give us lessons in regards to the Gospel. Saint Paul also derives his philosophy of ministry from the Old Testament. For Him the Old Testament was a work that showed God’s intention for humanity and the Church. Like many of the rabbis of his day, Saint Paul could draw forth abstract principles from seemingly obscure verses that many today would see as being dated and obsolete. 7 Who serves as a soldier at his own expense? Who plants a vineyard and does not eat its grapes? Who tends a flock and does not drink the milk? 8 Do I say this merely on human authority? Doesn’t the Law say the same thing? 9 For it is written in the Law of Moses: “Do not muzzle an ox while it is treading out the grain.” Is it about oxen that God is concerned? 10 Surely he says this for us, doesn’t he? Yes, this was written for us, because whoever plows and threshes should be able to do so in the hope of sharing in the harvest. John Dominic Crossan has provided a detailed classification of our sources for the historical Jesus according to the chronological stratification of the traditions. For a brief discussion of each source, including the reasons for its proposed dating, see John Dominic Crossan, The Historical Jesus (HarperCollins, 1991) Appendix 1, pp. 427-50. All dates shown are C.E. (Common Era).